Physical chemistry is the basis of rational pharmaceutical formulation and processing, and is fundamental to understanding the complexities of drug delivery and drug absorption. 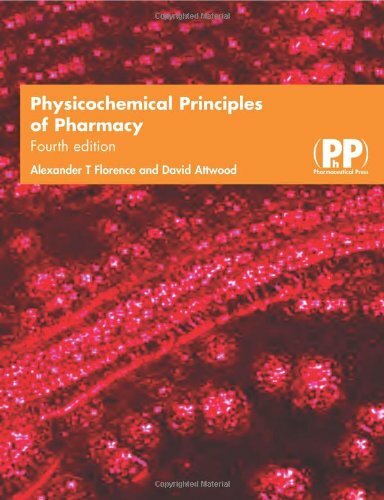 This textbook presents the physiochemical principles useful to the modern pharmaceutical scientist and pharmacist. Physical chemistry is the basis of rational pharmaceutical formulation and processing. It is fundamental to understanding the complexities of drug delivery and drug absorption. Physicochemical Principles of Pharmacy provides the physicochemical background to the design and use of pharmaceutical dosage forms. It goes beyond the introductory aspects of the subject to show how basic physicochemical principles are essential to an understanding of every aspect of drug action, from the dosage form to the site of action in the body. The fourth edition of this well-established textbook has been thoroughly revised and includes new examples and figures. Written by experienced academics, it is essential reading for undergraduate and postgraduate students in pharmacy and the life sciences.